Page F30: How difficult is it for speakers of English and other languages to learn Lithuanian? How difficult is it for speakers of English and other languages to learn Lithuanian? Quite a bit to know just to say the word good. However, Lithuanian's difficulty is still rather overstated. Here are a few things to keep in mind if you are considering learning the language. First of all, the best way to explain it to a prospective student would be to say that it demands much the same skill required in learning Latin, so if you've taken Latin before you have some idea of what to expect. Just like Latin, most of the action takes place at the end of the word. Also just like Latin, there is a ton to memorize in the beginning, but declension will often happen in the same or similar ways throughout the language so it gets easier with time. As an example, in the table above the genitive of geras is gero, and this is the same with nouns of its type too: the word Kaunas (the city) turns to Kauno in the genitive. Same thing with gera to geros - the word motina (mother) has motinos as the genitive. Latin has a much larger influence on English which makes it easier to understand in the beginning, as the student comes across a fairly large number of cognates with English. Lithuanian has an advantage over Latin though in being a language spoken by millions of native speakers, making it very easy to read and hear the language whenever you want. Latin, used mostly as an L2, is very often taught by those with an incomplete knowledge of the language. That's not their fault of course, but it does make it harder to learn sometimes when you're not absolutely sure that what you're reading in the language is correct. Lithuanian verb conjugation isn't that hard either. There are three things to remember when learning a verb: the infinitive, the 3rd person present, and the 3rd person past tense. After that verbs are regular (except for the verb to be, būti). Grammatical gender: this is also similar to Latin, and I find it easier to work with than a language like German. German has three genders, but the problem is that words almost never give an indication as to what gender they are so this is always something that needs to be learned along with each noun. In Lithuanian (along with languages like Latin, Bulgarian, Spanish, etc.) the ending of the noun itself almost always indicates how it is to be used. If you see a noun ending in -ė, you know that the vocative is -e, that the plural is -ės, and so on, so most of the time it isn't really about memorizing gender so much as keeping track of endings. The trickiest part would seem to be words that end in -is, because they can be either of the first or third declension. Charm: Lithuanian and Latin are quite similar here. With Latin you are learning the language of Caesar and Cicero, with Lithuanian you are learning the language apparently closest to Proto-Indo-European of all the modern languages. Charm is important when learning a language not spoken by a huge number of people. You can also see a fair number of Latin cognates in Lithuanian too, like ugnis (fire), which is ignis in Latin. Augti (to grow) is cognate with Latin augeō. You have to change the word order a bit, but it still doesn't necessitate learning anything completely new such as the difference between the definite and indefinite article. Pronunciation is also easier than English, which is the hardest European language to read. Conclusion: Lithuanian is a challenge, but not impossible, and if you've learned Latin before then you have some idea of what learning it would entail. And as with any language spoken by a relatively few number of people, there's no way you can pick it up without actively searching for places to use it. So if you are considering learning the language, take a look at some first-person accounts of those learning Latin, then remove the bits about words imported into English, and having no fluent speakers to practice with. If that suits your learning style then you might want to consider taking it up. One final note for those considering learning the language: some languages like Norwegian and Dutch with a high number of cognates and not too complex grammar mean that you can spend a great deal of time simply going over word after word, figuring out the meaning of a sentence for yourself and getting acquainted with grammar at your own pace, a little bit at a time. With these languages you can acquire quite a bit of passive understanding without learning almost any grammar at all, and you will often find people that can read and understand them to a certain extent without being able to write them themselves, because their familiarity gives one a sense of fluency. Eventually a student of these languages will have to bone up on grammar, but it can certainly be put off for quite a while. Lithuanian and Latin (and others) are the opposite though, because without working on grammar first you will find yourself encountering what seem to be new words all the time which are really just ones you already know, but inflected. Simply knowing the word pati for wife will not prepare the student for when it is seen as pačiomis (the instrumental plural), and neither does kačių (genetive plural) look much like katė (a female cat) without knowing declension. This leads to the opposite case, where a student will find himself recognizing the endings of words and thus knowing what role they are playing in the sentence, but perhaps without knowing exactly what they mean. 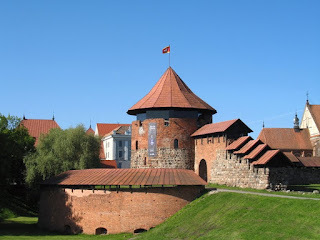 Good links to bookmark if you want to learn Lithuanian: here, here, here, and here. The last one is a newspaper so it's not specifically for students, but there are a lot of videos to watch on just about everything. Hmm, you can trust me, as I had bought many years ago a Lithuanian primer; it's indeed one of the most complicated languages I've ever seen ! Worst of all, the stress is almost unpredictable and can change of position during the declension/conjugation; this, added to the three pitches (tones) system, leads to a total mess ! For me, Latin is easier, the only drawback being that it lacks notions for the modern world. About stress: I thought it was completely random for a while until I noticed this page. So apparently even stress is governed according to rules, which is a relief. Verbs: aren't there only three classes? I've only seen those that end in -a, -i, and -o in 3rd person singular. Yes, there are 4 paradigms of stress (+ 3 pitches). In my book, there are indeed 5 verbal classes, but, at the present, classes I & II are identical: -a at the 3rd person. The IIIrd class ending is -ia (OK, it is i + a). First of all, I am Lithuanian. I've also been making a course of Lithuanian on my site so I got to think about how it is constructed a bit lately. That's why I think I can comment on this. Look at the declensions. They are all pretty related. Gen. ends with o in both (except the extra s - not hard to remember - no other forms have o as well). Dative has i in both (no other forms do). Accusative has the ending ą all the time (again, no other forms do). Locative has e at the end (as do no other forms). And even if you learn the other three. Come on, it's 6*5. Maybe twice that for plural but there are some clear patterns which make it THAT easier. Some of them almost don't have words in them. For example, I can only think of šuo (dog), dalmuo (quotient), skiemuo (syllable) and vanduo (water) with uo. That's like 4 words for a declension. Another thing, you say: "when learning a verb: the infinitive, the 3rd person present, and the 3rd person past tense". Yes, that's what the grammar books tell you. What if I told you that you only need to remember the infinitive! Past and third person is regular and always the same in two conjugations out of three! In the third one, there are a few main patterns to form the past. If not, you can apply a general pattern which gets you understood, I'd say, most of the time. There are some exceptions, true. Still, you don't need to learn three word - just one. If you learn smart, that is. The gender can always be told from the word except for words with "is" which are rare in comparison. Pati is pretty easy. I think it is enough to know pati and a couple of rules of consonant changes. Also it's an awesome illustration of how declensions are interrelated. Look at lanka - the example I gave you before. The genitive is lankos. Thus, the ending a becomes os. That's one declension. Now, pati is another declension. Declined, pati becomes patios. This is the very same ending. Although a different declension. But, why is it pačios? Well, because ti produces a č (like in ch-eck) sound. That's a change that always occurs in the language. Brazillian Portuguese does a similar thing as well in "gente" where it is pronounced like "gent-che" because. It's natural in speech. Pačiomis should be patiomis but it has that sound as well (it always transforms ti to č without exceptions). Lithuanian is very phonetical (which is another easy thing about it) so that's why that change is also seen from the way it's written. By the way, the word for a wife is žmona of which the plural instrumentive would be žmonomis (just like patiomis - the same ending, albeit a different declension - see the pattern?). Pati is archaic and it isn't used anymore except in perhaps some dialects or as a joke. Normally, it would be pretty weird if somebody said "pati" instead of "žmona". Now, talking about the other comment, I think the reason why most people find Lithuanian very hard is because they learn it from grammar books or classes which just throw the declension table at you and tell you to learn it by rote (disregarding that you don't need to know it before you start to speak) or tell you to learn all the three noun forms for all words by rote (although you don't need to in most cases). That's how it is. That's not how it should be. Interesting course. I'm going over it myself so I'll have some more feedback after I'm done looking at it. 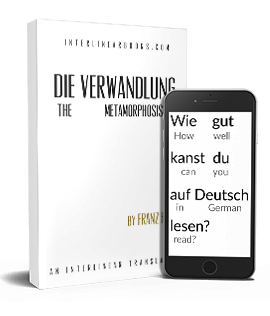 Your method is good for a lot of people, those that (unlike me) don't enjoy sitting down with a good grammar book and memorizing declensions. I like to hear that to is the genitive of tas, but saying that ne and tai are enemies is another way to explain it of course. This is the only approach that works with my girlfriend, who can't stand to spend any time at all in a grammar book and only likes example after example and lots of interesting commentary to keep it interesting. Cool, Mithridates. I'm looking forward for the feedback. That's exactly what I want to do on my website: making language courses for non-linguists. I think I will have to explain that it's genitive in one way or another at some point in the course. Not sure if I'll be using the actual word genitive yet, though. But, perhaps. I do think it is possible to put it in a way that's understandable by everybody. That just takes some thinking but, hey, that's what we do.